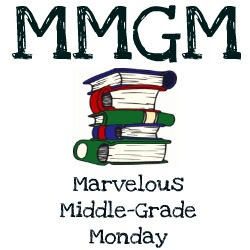 Middle Grade Mafioso: Marvelous Middle Grade Monday: The Fourth Stall--and a GIVEAWAY!!!!! MGM: The Don has been snoogling you (his word for snooping and googling) and has come up with a query letter you sent out for another novel before you wrote The Fourth Stall. The caporegime have been passing it around and chuckling. It starts: "I adore ninjas, bunnies, and zombies. So it is sad that none of these are in my novel." What possessed you to throw out hundreds of years of query advice and go loco like this? Sorry about that. Where was I? 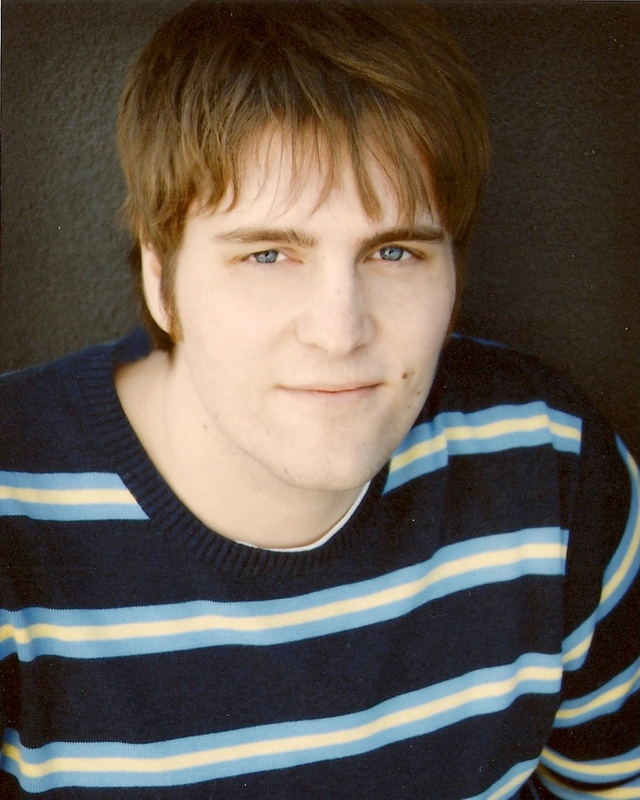 O yeah, Mr. Malk was right, you have a crazy good middle grade voice. You’re not actually still in middle school are you? CR: Haha, I wish I was. No, I think a lot of that comes from the fact that my mentality is still that of a middle grader. Seriously, all I ever want to do is play video games, board games, baseball, go golfing, watch movies, listen to music, play with Nerf guns, etc. etc. I still very much have all of the same interests and hobbies that I did as a 12 year old. MGM: My 14-year-old (also called Chris) has all the same hobbies! So, what inspired The Fourth Stall? CR: There is no one specific event or thing. It was really just a case of me asking myself these two questions, “What would make for a fun and cool book? What classic adult story have I not seen redone for kids yet?” Turns out there have been several mafia inspired books for middle graders over the years, but I didn’t know that at the time. Well, it was also inspired a little by my love of eating grape jelly with a spoon. After eating several jars of grape jelly, you can accomplish pretty much anything. Trust me. MGM: Don Vito’s very pleased that middle schools in America are run this way. He says your main character, Mac Barrett, reminds him of himself. Doing business, always helping others. He just wonders why you didn’t make him Italian. And why are Mac, and his best friend and business manager, Vince, such Cubs and Cubs trivia fanatics? Are you yourself a poor benighted Cubs fan? MGM: Oh well. Personally, what I love best about The Fourth Stall (beyond the humor) is the cast of characters. Mac and Vince employ a whole bunch of bullies to try and wrest the school back from the notorious Staples. I read somewhere that your favorite bully is Kitten. Mine happens to be Great White, a transplant from England . I’m wondering if you could put in a word for me playing Great White in the movie. (We’d have to have a great make-up artist to make me look younger, of course. The Don could arrange that, I’m sure.) There is going to be a movie, isn’t there? I mean, The Fourth Stall: the Movie would be way better than Bugsy Malone. CR: Well, that’d be awesome if there was going to be a movie! But, alas, I have virtually no control over whether that will ever happen or not. At this point, there’s been more interest in TV rights than film, so it’s much more likely that it’d eventually become a TV show than a movie. But even that is a long shot. It always is. Thousands and thousands of books get optioned every year, and just a handful ever get made. But, uh, perhaps the Don could help me out somehow? MGM: I'll pass it up the chain of command. He's got a lot of contacts in Vegas, if that's any help. Anyhoo, I also love Vince’s Grandma, who doesn’t actually appear, but who is quoted at length by Vince. Sort of off-the-wall almost-Buddhist koans. And apparently she has “Pintsized Midnight Moonbeam Workers” living in her purse. Just wondering if you have some in your purse too, and if so, whether you wouldn’t mind sending them our way @Middle Grade Mafioso? CR: I really wish I did, because then I’d never have to shave (don’t ask how that makes sense, if you get some Moonbeam Workers of your own someday, you’ll understand.) It’s funny, though, that you mention those Moonbeam Workers… that line is actually a reference to one of my favorite bands, Say Hi. They have a song titled Pintsized Midnight Moonbeam Workers. I guess that’s something I love to do, to put in little references to some of my favorite music, movies, books, etc. MGM: Very crafty! Now I'll be super vigilant as I reread. By the way, my 14-year-old recently declared The Fourth Stall to be “the best book ev-ah!! !” What weapon will you choose to battle it out if either Suzanne Collins or J.K. Rowling challenges you to a duel over this? CR: Wow, what a great compliment! Thank you! If either of them ever challenged me to a duel, I’d probably just lay down and die. Seriously. Because what if I somehow accidently won? MGM: Omigosh, wouldn't that make for great reality TV?! Well, we're almost out of time. Last question: I read in your interview on Anita Laydon Miller’s blog that you are a cereal fanatic/connoisseur. Will your next novel feature lots of cereal-eating teens? Or are you keeping it mafia, and writing a sequel to The Fourth Stall? CR: My next two books will be sequels to The Fourth Stall. I can’t divulge what my fourth book will be, except I can hint that it will involve fainting goats, fighting artichokes, and clowns with guns, and, now that you mention it, perhaps a good deal of cereal eating as well. Wow, I can't wait. Thanks, Chris, for the interview. And there we have it, folks. I hope you had as much fun reading this as I did posting it. 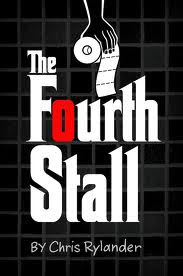 Here's the GIVEAWAY info: If you comment on this blog post or on my Facebook page, you will be entered to win a copy of The Fourth Stall. I don't need you to FB, blog, or Twitter about it (anyway, I'm too indolent to check up on you) but there is one thing that needs to be done to set the contest in motion. The current world record for comments on an MGM post is lucky number 13. We need to get to that record number or beyond (so tell your friends!!) or else greedy little me will keep the novel for myself (or, give it to the Don's grandson, if the Don finds out I'm running such a shady scam.) So get commenting. Multiple comments are welcome. And international entrants will not be turned away. Contest will close on Sunday August 21 at midnight, PST. Ciao!! Great interview Michael and Chris. It was so entertaining. And I loved learning how Chris came up with the story idea. I could definitely see this being a TV show. I'll do a post about it this morning. We havta get to 13 or beyond. Came over from Robyn C.'s place; it's good to meet you both. Great interview! This book sounds like a good read; I love the concept. Snoogling. Great word. Enjoyed the interview, Michael (and Chris). And the fact that Chris still has all the same interests and hobbies he did as a 12-year-old obviously has a lot to do with his success as a MG writer! I just visited from Robyn's blog too. Thanks for the interview. I love the voice, so I'm sure it's in the book. Good luck! I'll share this on FB. Every review I've read of this book has said how great it is. I've got to read it. Thanks for the giveaway! wonderful interview and I'm so grabbing this book. My kids will have to wait for me to finish it before they get a chance. Great job - and I can't wait to give it a look. Nice interview. Robyn directed me over to take a look. LOL, great interview!!! The book sounds awesome. Can't wait to pick it up!!! Thanks. I. Want. This. Book. Do my Elevensie connections buy me an extra entry? Come on. I'll make you an offer you can't refuse. Yay! Karen lee Hallam's comment officially tips the scales: the contest is on. Thanks to all the commenters above, especially you new visitors and followers. I appreciate you all very much. I already have a copy and can't wait to get it out to students. I didn't quite get it, but I think the boys will love it! Great review. Congrats to Chris, and happy reading! I'm in. Not too late, am I? Interview was nicely done. I look forward to sharing this info with my librarian and teacher pals. Outstanding interview! Nice rapport you have going there. :) This book sounds terrific, and just based on your description it sounds like something that would have glued my kids (ok, and me, too) to the TV. What a cast of characters! I'll definitely read this, and I'll pass your link along to some writing-for-kids pals I know. hi mr michael and mr chris! wow! that book sounds sooooo cool. for sure i could like to win it. my uncle vito said hes gonna call you bout that. :) but if i dont win for sure im gonna get it. hooray for mgm! What a hilarious interview. This sounds like such a fun book. I'm in!! Thanks so much for doing this interview, Michael! And thanks for all the great contest entries and comments. I would love to win this! What a fun interview - no doubt it's an equally fun book! Great interview! Looking forward to reading this book, whether from you or the library or a Powell's shopping spree! Fantastic interviews. I would love to win this book so here is my comment! :) Because I'm good like that. I was all excited about entering your drawing, then realized at the end it was last week's post. lol. I agree about getting boys to read, so I'll have to look this one up for my young boy students. It actually sounds quite funny and you had me at "Ferris Beuler-style." OMG LOVE YOUR BOOK "The Fourth Stall" Sequel????? please? Nice to find a book review about something other than manga. And a very well-written book review as well, I must add. Great to read!